Note 5-24-2010: This post was first published on December 4 2008, and the information remains the same, however, I’ve expanded my thinking about this since recently talking to the new head of the Lot Links program, Jonathan Cain. Dayton now has 15,000 vacant lots. It’s staggering to think about, but Dayton is selling those lots for $235.00, or $635.00 for a buildable lot- that’s pennies for the opportunity to own land. As a Realtor, I see first hand what property ownership can do for an individual, but the meme that moves me most passionately about property ownership is what Ohio President William Howard Taft said, ““Next to the right of liberty, the right of property is the most important individual right guaranteed by the Constitution and the one which, united with that of personal liberty, has contributed more to the growth of civilization than any other institution established by the human race…” I take on this subject in some detail, including my thoughts on what I call “micro-development” over at DaytonMostMetro. Seemed like a good time to bring this original Lot Links post back to the top. The city of Dayton Ohio has real estate issues. We have vacant homes, vacant lots, vacant office buildings. Like so many cities in the mid-west, the loss of population means that we now get to deal with abandonment, but I believe that there are opportunities in every situation, and this is no different. The ability to see opportunities requires some creative thinking and some bending from the community, but we are in need of creative and positive solutions and I think even the City can see that now, so they are beginning to adjust their thinking accordingly. 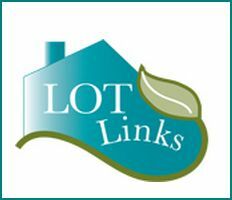 One of the innovative ideas is called Lot Links. A neighbor to a vacant lot can buy that property from the city of Dayton, for cheap in many cases, and create something beautiful there. Care for it, maintain it, garden it, nurture it into a beautiful oasis in the middle of the city.  In order to be eligible, a property must be unoccupied, at least two years certified tax delinquent, and located within the Dayton city limits. Abandoned or foreclosed lots that have become property of the City of Dayton may be available for acquisition through Lot Links. The City manages the legal process of transferring property ownership, using the Real Estate Acquisition Program (REAP) in partnership with Montgomery County (as authorized by Ohio law) and other resources. You can read the pdf, and get more details here.